This past Friday, CMS officially published an update notice on FY 2013’s skilled nursing facility prospective payment system (aka SNF PPS for you acronym-lovers. For those of you who don’t know, SNF PPS = Medicare Part A payments). 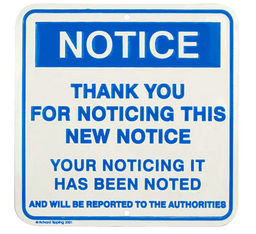 Why are we relieved to hear about a relatively boring notice? Because it’s relatively boring. SNFs are receiving an approximate 1.8% increase to Medicare payments. That’s a welcome change compared to last year’s SNF PPS rule which reduced Medicare payments by more than 11%. Big difference. This year, SNFs receive a 2.5% market basket update (cost of living adjustment), but a 0.7% productivity adjustment due to the Affordable Care Act’s 10-year plan to reduce Medicare payments to SNFs by $14.6 billion… making the grand total a 1.8% increase or approximately $670 million. The other thing that is slightly boring about a notice is that - unlike a proposed rule, comment period and then a final rule – CMS only makes statutory update adjustments to Medicare Part A, rather than any new policy that could dramatically affect payments. AHCA had heard wind of this notice back in April and were encouraged to see just that announced late last week. Because as many long term and post-acute care providers know, it’s been a rough few years. As seen in the notice, health care reform cuts, coupled with the economic recession taking its toll on State revenues and, therefore, State Medicaid programs. Then we’ve had bad debt coverage reductions and sequestration through Congress (sequestration is actually a 2% reduction to all Medicare providers starting in 2013, so practically, SNFs don’t get any Medicare payment update [1.8% increase – 2% sequestration cut = still no increase in Medicare payments]). And despite all of these reductions, SNFs still remain on the potential chopping block any time Congress is looking for ways to pay for the policies that would add to the budget. Perhaps it’s easier politics, or perhaps it’s the misconceived notions that SNFs are being over paid. Whatever the reason, AHCA stands ready to inform our nation’s policymakers that any additional cuts to skilled nursing care centers are not the answer and that our seniors deserve access to quality care. You should be ready too. 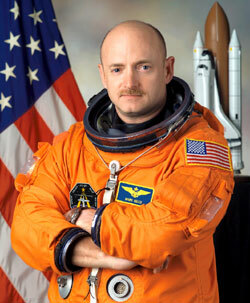 At this year's AHCA/NCAL 63rd Annual Convention & Expo in sunny Tampa, Florida, Commander Mark Kelly will be the closing keynote speaker. A celebrated American, Mark is an astronaut, retired U.S. Navy Captain, best-selling author, and experienced naval aviator. He is also the recipient of the Legion of Merit, Defense Superior Service Medal, and the Distinguished Flying Cross. In a memoir with his wife, former U.S. Congresswoman Gabrielle Giffords, they shared their story of courage and determination in the aftermath of the 2011 assassination attempt on her life. In the aftermath of the Tucson, Arizona tragedy, Gabby: A Story of Courage and Hope helped to highlight the importance of high-quality care as well as show the remarkable resilience exemplified by the couple. Mark emphasizes in our new videos: “My experiences as a caregiver to my wife has given me true understanding of how people work every day to overcome challenges. I know firsthand the importance of dedicated skilled caregivers I providing critical rehabilitation.” Stay tuned to see more video messages from Commander Kelly on teamwork, community, and the power of the human spirit. 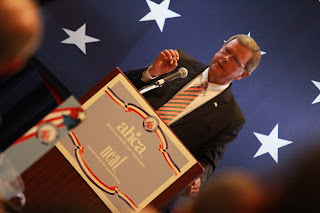 Learn more about our featured keynote speakers and AHCA/NCAL’s 63rd Convention and Expo today! Happy Birthday MEDICAID and MEDICARE! Today marks the 47th anniversary of Medicare and Medicaid. President Lyndon B. Johnson signed both programs into law on July 30, 1965. You can read LBJ's speech at the signing ceremony, listen to his taped conversations and find a brief history of the programs here. The Medicare bill had been hotly debated in every Congress for 13 years before it was passed. Since its inception, Medicare has helped provide health care coverage to millions of our nation’s elderly. Today, Medicaid is an important payment source for our nation’s seniors and persons with disabilities. According to AARP, over 40 million people currently rely on the Medicaid program; this includes 64% of nursing home patients and 13% of assisted living residents who need the program to help pay for their everyday care. Find out how much you know about Medicare by taking Kaiser’s Quiz today! So everyone knows that there are valuable benefits from walking and exercising more, but what is the easiest way to help encourage people, especially seniors, to follow through and get going? 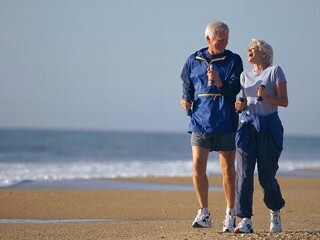 A recent New Zealand study suggests that wearing a pedometer can actually help increase walking rates; over 300 seniors were found to have walking times that nearly doubled due to the handy devices. "Pedometers allowed users to check their progress throughout the day against activity goals they had set for themselves," said study lead author, Gregory Kolt. Over the course of a year the study took place, those who had been given pedometers increased their average weekly walking time by almost twice as much as those who didn't have pedometers--about 50 minutes per week versus 28 minutes for those without the devices. In addition, pedometers are inexpensive and relatively unobtrusive, making them an easy, accessible tool for the masses. · Lower LDL cholesterol (the "bad" cholesterol). · Raise HDL cholesterol (the "good" cholesterol). · Lower your blood pressure. · Reduce your risk of/manage type-2 diabetes. · Stay strong and fit. · Get the right gear. · Use the proper technique. · Cool down after each session. How are YOU staying active today? Reeling from cut after cut which threaten the sector’s ability to maintain access to care for the nation’s elderly and disadvantaged, AHCA President and CEO Gov. 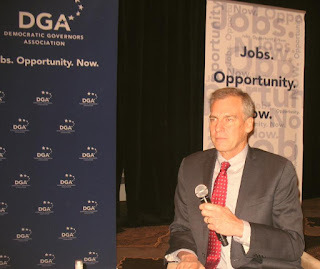 Mark Parkinson joined a panel of executives in Colorado to highlight the critical need to preserve Medicaid provider assessments at a forum sponsored by the Democratic Governors Association (DGA). He used his time with four Democratic governors and other thought leaders from DaVita, SAS and WellTok to also touch on the AHCA/NCAL Quality Initiative’s goals designed to achieve better health outcomes. Parkinson staked out provider assessments as the line in the sand regarding Medicaid cuts. Crossing that line may jeopardize access to care for the 1.6 million who depend on long term and post-acute care, and the nearly six million employees who work to provide some aspect of that care. 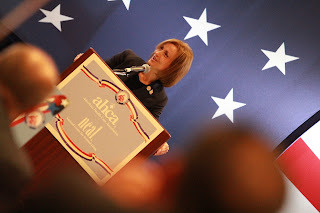 Parkinson thanked Governors O’Malley (Maryland), Hickenlooper (Colorado), Malloy (Connecticut) and Dayton (Minnesota) for their participation at the meeting. He stressed that the profession needs their support in making sure these assessments remain at their existing levels. Parkinson also discussed the innovative nature of the association’s Quality Initiative. The initiative holds care providers accountable for measurable quality improvements, demonstrating the profession’s commitment to providing quality person-centered care in a cost-effective manner. By challenging members to improve in these areas now, they can prepare for possible future payment models or measures from the government that will demand greater cost-accounting solutions. Two of the Quality Initiative’s main pillars speak to satisfaction of the employees of the growing workforce – reduce the amount of turnover among nursing staff by 15 percent by March 2015 and increasing customer satisfaction – as represented by the number of customers who would recommend a facility to others up to 90 percent by March 2015. Is your organization the Michael Phelps or Michelle Kwan of long term care? As the world’s finest athletes assemble in London for the Olympics opening ceremony, we wanted to remind you about another gathering of the finest – the finest in long term and post-acute care - AHCA/NCAL’s National Quality Award Program. Bronze – Develop an organizational profile including vision and mission statements, an awareness of their environment and customers’ expectations, and a demonstration of their ability to improve a process. Silver – Demonstrate a higher level of achievement in their quality journey through improved performance and positive outcomes that have evolved from how the facility has embraced the programs criteria and concepts. Gold – Show superior performance over time that is based on their systematic approaches to leadership; strategic planning, focus on customers, measurement, analysis and knowledge management, workforce focus, process management and results. 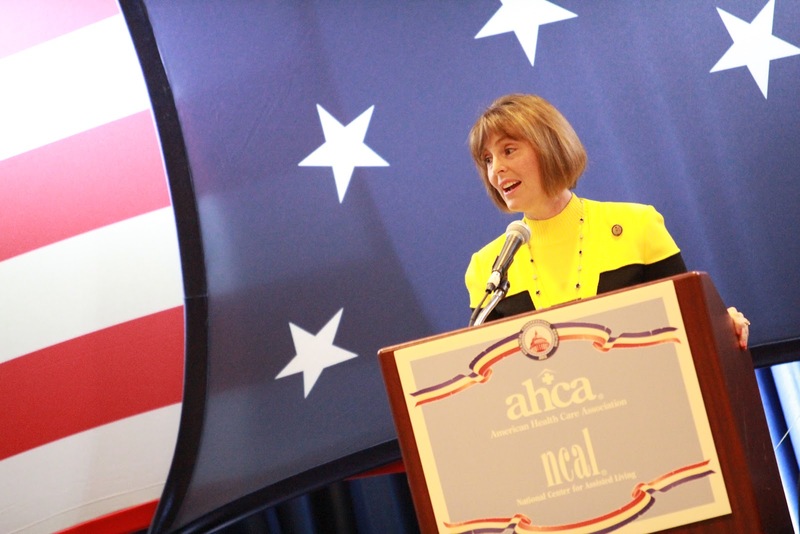 And while there may not be a medal ceremony with the national anthem playing, award recipients are recognized at AHCA/NCAL’s Annual Convention surrounded by their peers. The Quality Awards program helps to provide further incentive and strategy for facilities to improve their level of care in addition to giving valuable recognition and praise. Go for the Gold and apply! Hospital Compare and Nursing Home Compare have recently been enhanced for consumers by the Centers for Medicare and Medicaid Services (CMS). They are two websites that are useful in helping Americans make informed choices about hospitals and nursing homes, and now they have been redesigned to make navigation easier and to incorporate new comparison tools like findings from nursing home inspections. These available websites are extremely popular with patients, families, and caregivers because peace of mind comes with making the best informed decisions one can. In addition, open and available information to the public on hospitals and nursing homes helps to further motivate providers to constantly improve. Have you utilized these valuable websites? When it comes to disasters, health care providers often rely on state and federal government response teams to get a community evacuated quickly and safely. In Hawaii however, providers are steps ahead with their very own emergency preparedness and operations management services program. HAH Emergency Services, a division of the Healthcare Association of Hawaii (HAH), provides emergency services to over 115 health care coalition members statewide, including hospitals, nursing homes, assisted living facilities, home care and hospice, and community health centers throughout the entire state. HAH’s program is one of the few in the country that brings multiple health care providers together to practice responding to a disaster situation. 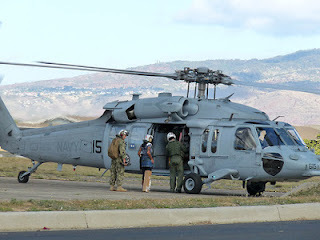 Recently the state’s hospitals received live training during the Rim of the Pacific (RIMPAC’s) 2012 Humanitarian Assistance/Disaster Response (HADR) event. Providers participated in a week-long series of naval exercises and disaster scenarios, complete with helicopter landings and patient transport. Planned by HAH Emergency Services, 23 statewide hospitals participated in conjunction with the US Navy, Hawaii State Department of Health, US Army, and other HAH Emergency Services Coalition partners. Are YOUR state’s nursing homes and assisted living facilities prepared in case of a disaster? How are you working with others in your state on disaster preparedness? Today, the Centers for Medicare and Medicaid Services made their new Five-Star rating and quality measure information available online at Nursing Home Compare. This includes a facility’s rates on antipsychotic use—a focus of the AHCA/NCAL Quality Initiative. We are only 164 days away from needing to achieve our goal to safely reduce the off-label use of antipsychotic medications by 15% at the end of this year. What was done to try to figure out why the resident was doing (behavioral response)? What might the resident be trying to communicate to us by doing (behavioral response)? What do we believe the reason was for the resident doing (behavioral response)? Unacceptable answers are "dementia" or "sun-downing"
What alternative approaches were tried before requesting medications? Is there a physical reason for the behavior like untreated pain? Is there an environmental reason for the behavior like over or under stimulation? Could other medication side effects be the cause of the problem? We encourage you to access your specific rating measures regularly online in order to keep track of how you’re meeting the Quality Initiative goals. If you want to learn more about the changes to Five-Star and Nursing Home Compare, there is a free archived webinar available to AHCA/NCAL members. Additionally, the provider Five-Star Help line (800-839-9290) will be open for an extended period from June 18 through August 3. Provider questions may also be addressed to bettercare@cms.hhs.gov. What are your facilities doing to safely reduce the off-label use of antipsychotics? As America’s demographics continue to change, perceptions are changing too, and Latino seniors are now entering nursing homes at record rates for both long term and post-acute care and rehabilitation. Many nursing facilities have changed by adopting new was to accommodate the rising number of new Latino residents, including hiring more Spanish-speaking staff to offering more ethnic food options. Those seeking help with finding the right type of care or with having a conversation about their loved one’s care needs can visit CareConversations.org for support and resources. According to a recent New York Times article, loneliness can have potentially serious health consequences for seniors, including earlier loss of physical functioning and even premature death. In a recent study, 1,604 adults age 60 and older were periodically asked over the course of a few years how often they felt isolated or left out, or lacked companionship. A whopping 43% of elder adults reported feelings of loneliness: 13% of older adults said they were often lonely, while 30% said loneliness was sometimes an issue. The difference between adults who felt lonely and adults who did not was also startling—“24.8% of seniors in the lonelier group reported declines in their ability to perform the so-called activities of daily living — to bathe, dress, eat, toilet and get up from a chair or a bed on their own.” Only 12.5% in the loneliness-free group reported similar declines. In addition, the lonelier adults were 45% more likely to die than others. The link between good mental health and good physical health is nothing new. There has been a lot of research in recent years showing the link between strong social networks and longevity and health for humans. For the elderly, this means not feeling “cut off” by society or “written off” as they age. Loneliness can be alleviated by the person’s subjective feelings of being listened to, cared about, and needed by others. Loved ones, neighbors, and caretakers should realize the inherent value of reaching out to the elderly, whether to lend a helping hand or a listening ear. Furthermore, seniors and individuals with disabilities should be encouraged to participate in more social activities in which they engage in meaningful interaction with others. In the long term care world, a great example of this is Joy Through Art, an organization founded by HBO star Dominic Chianese, to improve the lives of nursing home residents through musical performances and activities. 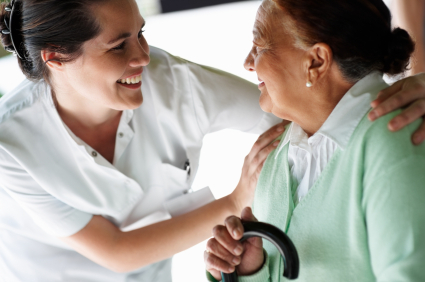 Skilled nursing and assisted living facilities provide caring environments that are effective in discouraging loneliness and encouraging deeper connections among seniors. Just about every facility has an activity director that keeps these connections alive through activities especially designed for their residents and patients. Dedicated, caring caregivers also make a big difference in the day-to-day quality of life for seniors. Lakeview Terrace Skilled Nursing Facility, an AHCA member located in central Florida, is a great example of a facility that is committed to enabling seniors to live a more social lifestyle—they provide regular lane bowling, bocce courts, a golf course, and an enticing dining hall setting. Encouraging deep, meaningful connections with seniors can happen in a variety of ways. How are you doing it? 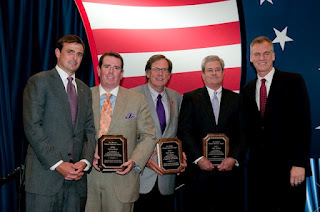 At this year’s annual Congressional Briefing, several attendees were honored with Joe Warner Patient Advocacy Awards. The award honors AHCA/NCAL members who have worked diligently to educate Members of Congress about the needs of long-term care patients and residents in addition to tirelessly working to advance quality care in long-term and post-acute care facilities. Watch the video featuring this year’s honorees. This year’s recipients were John Barber of White Oak Manor, Fran Kirley of Nexion Health, Inc., Ted LeNeave of American HealthCare L.L.C., and Richard Pell of Genesis HealthCare. More than 400 health care leaders, professionals and direct care providers gathered in Washington for the American Health Care Association and National Center for Assisted Living (AHCA/NCAL) Congressional Briefing. After rounds of government reductions, these representatives carried the message of protecting access to quality care on behalf of the 1.5 million individuals cared for in America’s skilled nursing and assisted living facilities. In tandem with all of the effective member conversations held with lawmakers, The Hill, a daily congressional newspaper, featured a full page ad reflecting AHCA’s stance against cutting Medicaid. The ad hit readers with a bright red street sign with the appropriate message to Congress that such cuts were: “Wrong Way.” The ad echoed Parkinson’s comment to the gathering Monday that “It’s ridiculous for Congress to consider cutting us.” The National Journal additionally featured Governor Parkinson and AHCA’s role as advocates on Tuesday. In addition to hearing from AHCA Chair Neil Pruitt, Jr., NCAL Chair Mike Shepard, and NCAL President Dave Kyllo, this year's attendees heard from a variety of Washington leaders. Monday's keynote speaker, Ronald Brownstein, Atlantic Media's political director, shared his insights into the upcoming election cycle as it pertains to health care. Prior to heading to the Hill on Tuesday morning, several legislative leaders addressed the advocates (pictured below): Congressmen Bill Cassidy (R, LA-6) and Tom Latham (R, IA-4) and Congresswomen Kathy Castor (D, FL-11) and Nan Hayworth (R, NY-19). 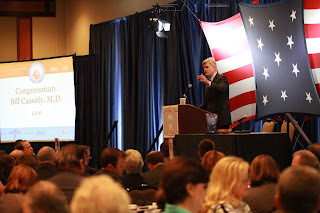 Representative Bill Cassidy summed up the importance of the Briefing, "If we as providers don't bring our expertise [to ‪Congress] then it's up to only political solutions"
Thanks to all the attendees and members, 2012’s Congressional Briefing was a tremendous success. We look forward to seeing you in 2013 and hope to have an even stronger presence next year. With this past weekend’s major power outage leaving millions of Americans without electricity in, for some areas, the hottest part of the year, we thought this would be a good opportunity to remind everyone about how to keep cool and more importantly, how to keep residents cool. Every year in the United States, over 200 people die of health complications caused by high heat and humidity—the majority of these victims being age 50 or older. Older adults are not able to cool down as well as younger adults, and when temperatures are extremely high, may not feel as hot or thirsty when they are actually dehydrated. Heart disease and diabetes are common in older adults, making it more difficult to cope with excessive heat. Drugs such as water pills, allergy and sinus medications, and medicines for depression and nerve problems can also interfere with the body’s natural cooling system. Being Outdoors: Wear protection. Whether it’s wide-brimmed hats, sunglasses, or sunscreen, shielding yourself as much as you can from the sun’s powerful rays while outside is essential. Drink frequent fluids, and try to stay in the shade as much possible. If you can, wait until off-peak sun hours to conduct outside activities. Pests: Protect yourself from ants, bees, and flies. Severe allergic reaction to bee stings are easily identifiable by swelling of the throat or tongue, constricted breathing, and sudden out breaking of hives. Food and Water: Food-borne illnesses are especially dangerous for the elderly and are most prevalent in hot water. Review food temperatures and holding times. In addition, studies have shown that a significant percentage of older adults are at risk for dehydration. Make sure that you drink water frequently without fail. Check residents’ medications for which ones may potentially pose a problem in hot weather. In case of an allergic reaction to stings, be ready to respond immediately with emergency treatment (check your supply of EPI pens for expiration dates and availability). Have systems in place for frequent replenishing of bedside water, encourage frequent drinking of liquids, and educate your residents about the dangers of dehydration. Federal regulations require nursing facilities initially certified after October 1, 1990 to maintain a temperature range of 71°- 81°F in resident areas. So, enjoy the summer with your residents. But stay cool and stay safe! Next Monday marks the start of AHCA/NCAL’s annual Congressional Briefing, a two day event in which members have a great opportunity to meet with their Members of Congress on Capitol Hill. This means that important federal issues facing long term, post-acute, and assisted living care will be directly addressed face to face. Between 300 and 400 long term care professionals from member facilities across the country will convene in Washington, D.C. for educational sessions, networking opportunities, and informational presentations before finally going to Capitol Hill to meet with their representatives. Several Members of Congress who support the profession’s issues and goals will be speaking, including: Congresswoman Kathy Castor, Congresswoman Nan Hayworth, Congressman Dr. Bill Cassidy, and Congressman Tom Latham. In addition, Governor Mark Parkinson (AHCA/NCAL President and CEO), Neil Pruitt (AHCA Board Chair), Mike Shepard (NCAL Board Chair), and David Kyllo (NCAL Executive Director) will also be presenting. Another highlight will be the reception on Monday evening honoring this year’s recipients of the Joe Warner Patient Advocacy Award. AHCA/NCAL honors these individuals each year for their outstanding efforts to advance the long term and post-acute care profession. 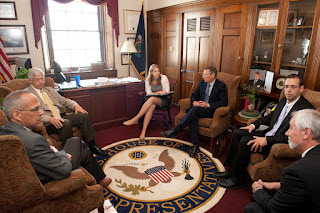 Not only does Congressional Briefing provide an opportunity for long term care professionals to meet with their representatives on Capitol Hill, but it also provides Members of Congress with the ability to hear how federal issues in Washington are impacting their constituents back home. Stay tuned for highlights next week and for more information, check out the Congressional Briefing website. This week, efforts to reduce Medicare fraud heightened as members of the House and Senate requested a Government Accountability Office study of the anti-fraud audits conducted by the Medicare program. The request originated from an effort to identify and eliminate fraud and improper payments. “Health care providers are responsible for interacting with, and responding to, each of these contractors. In order for this contractor oversight to at once be effective at detecting improper payments and not unnecessarily burdensome to providers, it must be undertaken subject to a coherent strategic plan, consistent standards and active coordination. "Partnership members have been working together for more than a year to develop policy solutions that we firmly believe will effectively combat fraud and abuse in the Medicare and Medicaid programs." The Partnerships package of suggested reforms - called the "Skilled Home Healthcare Integrity and Program Savings" (SHHIPS) proposal - includes provisions that would eliminate the possibility of overpayment by preventing payment of aberrant claims before they are made and by strengthening claims review processes and conditions of participation standards. AHCA will continue to monitor Congressional efforts to investigate Medicare fraud. In the meantime, be sure to look at our member resources on Medicare Recovery Audits, and check out Provider Magazine’s recent cover story on ZPIC investigative tactics.